In the old days we used to send out market update reports to neighborhoods which would provide homeowners a list of nearby properties on the market, pending, and recently closed sales. Sellers loved the information because it gave them a handy reference guide of similar homes in their neighborhood. They could take it and drive by those homes and compare locations and appearance to their own home. People would track homes for months especially when they had a potential interest in selling in the near future. We pioneered the online computer valuation estimate even before the big national online valuations came out. Sellers are now able to go online at sites like www.LeeCountyOnline.com or www.Ellisteam.smarthomeprice.com and get an instant price analysis of their home. These sites are great and sellers love them, but they don’t give you the list of comparables like those old reports did. One of the problems with the old reports was they were somewhat outdated the day they came out. Agents compile the reports and send to printer. Once it’s printed, they get mailed, which takes time. They weren’t real-time. We decided to bring back those reports, but not for just a few select neighborhoods. We want everyone to have them, and in real-time. And we’ve done it. 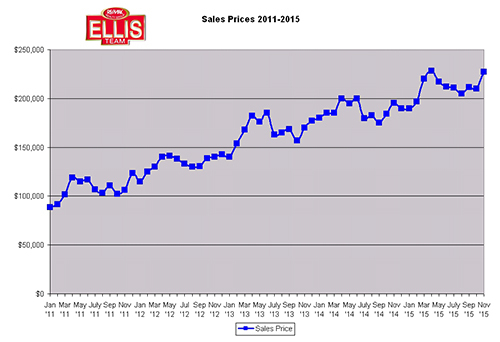 Introducing new market report for home sellers in SW Florida. Simply go to Market Reports section on our website. You’ll see several neighborhoods listed with more on the way. If you don’t see your neighborhood listed, don’t worry. Just click on a neighborhood, any neighborhood. At the top select Create Your Own Market Report. With just 2 clicks you can select your neighborhood and yours is created. You can even save it and have it sent to you monthly. We’ve created market reports for neighborhoods like Reflection Lakes, Whiskey Creek, Cross Creek Estates, Danforth Lakes, Highland Pines, Caloosa Trace, Daniels Park, Botanica Lakes, and even the Downtown River District high rise condos. You can see what homes and condos are listed for, which units are going pending, and what homes are selling for. You’ll get the price per square foot for each home along with the averages so you can compare your home to the market. It’s all in Real-Time, just like our MLS search site. You won’t have to wait for properties to close, agents to compile reports, and the postal service to send them. Our database is updated every 5 minutes. Don’t believe it? Test it out. Within an agent inputting a listing or sale in MLS, our system updates. If you’re thinking about selling, www.LeeCountyOnline.com will be a great resource. There’s no substitute for professional advice though. Please call us and find out how our marketing is bringing more buyers and top dollar for our sellers. If you’re a buyer, you’ll love the website too. 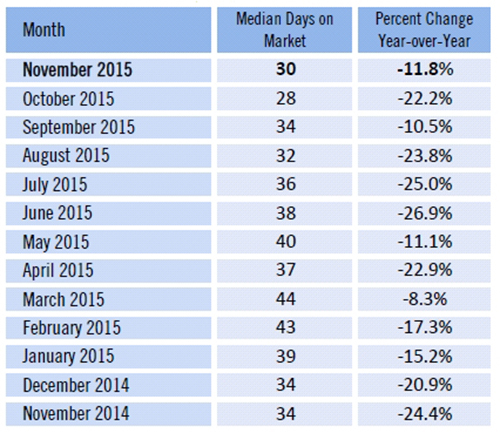 It’s hard to find properties and beat out other buyers to hot new listings. Because our site is updated every 5 minutes you’ll have a distinct advantage over other buyers. Our agents are great and listen to your needs. We’re not here to sell you anything but rather find you what you’re looking for and help you get it. Our people are the best, and our technology isn’t too shabby either. Call us and we’ll talk, or login and see the difference. Not all Realtors have the same people skills or the same technology. And they don’t all spend the money to market your home the way we do either. Call us at 230-489-4042. Good luck and Happy House Hunting! In real estate we teach Realtors to create their own Unique Selling Proposition to gain clients. When you’re asking customers to work with your team you must ask the question, why should a customer work with us? What makes us Unique? What do we do that’s better than everybody else? At the Ellis Team at RE/MAX Realty Group, we feel we have several things that make us unique. There are several things we do that the average agent doesn’t, and we’re quite sure nobody does everything we do to get a home sold. Every agent should ask themselves this question, and if the answer is nothing is unique, find something that is and offer it. The United States is filled with solid companies that identified a need in the marketplace that wasn’t being met and created a solution or product to meet that need. If you’re interviewing agents to buy or sell, we think we should definitely be in the conversation. While the Unique Selling Proposition is true for every agent and every company, it can also be true for every property. When we list a property, we try to identify who the target buyer might be. We also identify all the traits of the property to determine if there is something we can advertise to make this property stand out. Create Your unique selling proposition to sell your property. You’d be surprised at all the ways a property can stand out. Perhaps you own a property seconds to the water. 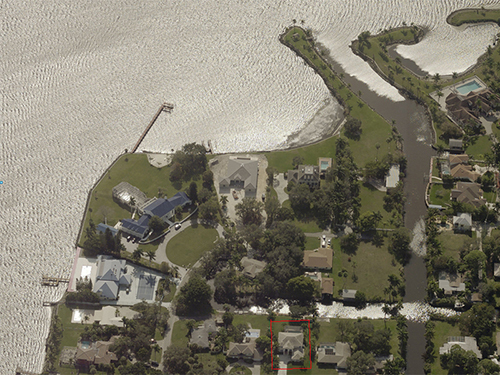 This is an attractive feature to boaters, and not all properties meet those criteria. We’ve listed and sold properties that sit inside an air park, so we advertised to pilots and air enthusiasts. We’ve sold horse and ranch properties, so of course we geared our advertising to reach those potential buyers. Perhaps your selling proposition is value. If your home is the lowest priced, or has the most add-ons and extras per square foot, that is something to mention. Perhaps you live in a golf community with a golf view but golf membership is voluntary. We would market to someone who appreciates a gorgeous view but doesn’t necessarily have to pay to golf. You can go both ways on this one. You can market to avid golfer, or someone who isn’t but wants resale ability later on to someone who is. Perhaps your condo association offers lots of amenities for a low fee. This is a great way to attract buyers. Maybe you have a very high fee but your association offers one amenity nobody else does. We would definitely advertise that as chances are that’s why you purchased there and most likely is why the next buyer will as well. Obviously your property must be priced correctly, as that is a value proposition all its own. Be careful though, as some sellers mistakenly believe certain things are appealing to buyers when in fact they are a turn-off. Some sellers believe they’ve built the perfect home and load it up with all kinds of weird stuff, and for that a buyer should pay a $200,000 premium for it. It pays to consult a professional that can guide you through the process and look at your property objectively. Watching HGTV doesn’t make you a real estate expert. We watch it for the entertainment, and for the occasional good idea. There’s just no substitute for market knowledge though. If you’re considering buying or selling, call a professional. There are lots of great Realtors out there. Just pick one with lots of experience and one who will listen to your wants and needs. Pick one that isn’t afraid to tell you the truth and will educate you. You can search the MLS for free at www.LeeCountyOnlinie.com or call us at 239-489-4042. We’ll be glad to help you. 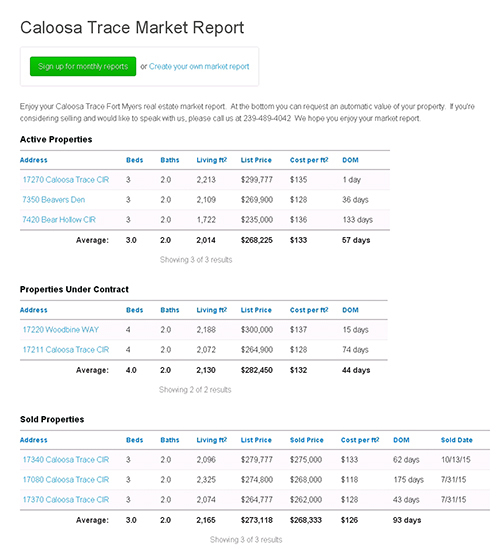 Check out our latest- Neighborhood Market Reports-You can create your own too. We’re also adding Single Property Websites to each of our listings. Check back as we’ll be adding a lot more. Think back to when cable TV was first introduced. It changed the television viewing habits of millions of Americans, however the big 3 networks were still king in ratings. Then came along a 4th network. Today there are hundreds of channels, and while the Big 4 networks still maintain good ratings on certain shows, there is much competition for the eyeballs of viewers. Just a few decades ago a great real estate marketing campaign consisted of postcard mail outs, newspaper ads, and maybe some image advertising like a bus bench or car wrap. Today image advertising has its place, but it’s not going to be the single thing that attracts buyers like it did in the past. Others like Realtor.com, Homefinder.com, HGTV, Zillow, Trulia, and others also compete in the online space. These are sources buyers search for content. Content is what gets people interested, but it’s not necessarily what makes them purchase. 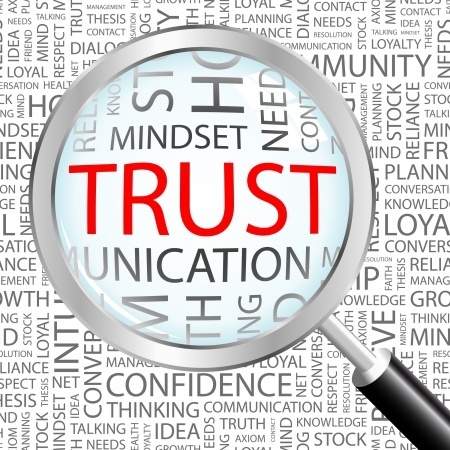 Some people believe that Content is King, but we believe Trust is King. Trust is the difference between having general interest and actually pulling the trigger. Imagine you had a son or daughter going off to college in a large town clear across the country. Campus housing is full, so you must find her an apartment. Parents are typically concerned about costs, convenience, safety, and terms. Can she walk to classes or must she drive? If she must drive, is there parking available. How much will apartments cost? What are the terms? How long is the lease? If she goes to school 9 months she may not need a 1 year lease. Is it a safe neighborhood? Searching for a home or 2nd home is not much different. Buyers ask similar questions. They want to know the neighborhood, it’s proximity to shopping and things to do, and if it’s a good investment. They want to know average prices, historical changes, and if the area is likely to improve. They want to know what the job market looks like and if the area is likely to go up in value or decline. People want to make a sound investment. All these questions go to trust. You have to trust the person you’re dealing with. All the computers in the world can’t answer the simple fundamental question. What does your gut tell you? People search for content, but they buy with trust. This is why these portals can create interest, but it’s the person behind the portal who answers the emails or answers the phone that makes the difference. If people don’t have a good feel for the area or trust their gut instinct, they won’t buy no matter how good of a deal it may seem. Yes, our team participates and pays big dollars for our website and the big portals. We appreciate the interest these sites create. We spend a lot more money that most to create that interest, both online and in print. By the way, print is not dead. You’re reading this now in the newspaper. The point is our team takes great care to forge a bond of trust with each customer. We don’t care what you buy so long as it matches what’s right for you. Maybe you’re not ready to buy, and that’s OK too. We seek to listen to you so we can find out you’re your needs are. We can educate you on our market, but if we fail to listen properly we won’t get to that gut feeling you need. There’s an old saying that goes “People don’t care how much you know until they know how much you care.” We care to get it right, and what’s right is whatever is best for you. Each customer is different and has different wants and needs. Posted in Cape Coral, Cape Coral Real Estate, Fort Myers Real Estate, Southwest Florida Real Estate.